My constant hunt for easy and simple meat free vegetable recipes is quite challenging, especially for a carnivorous person like me but once you had found or created one it is so satisfying. This recipe is one example, it’s simple and really easy to prepare, now I have one more vegetable dish added to my growing list of simple meat free vegetable dishes. In a pot add water and bring it to a boil, once boiling blanch spinach quickly then drain and rinse with cold water. Set aside. Add mushrooms and stir fry for 2 minutes. Add spinach and stir fry for 30 seconds. Season with fish sauce then serve. Those straw mushrooms look delectable. Yeah! I totally agree with you! I’m a big carnivore as well! But sometimes it’s great to be liberated from meat! My favourite veggies are eggplants and okras! Could totally do without meat when I have those. yummm! I could enjoy a huge bowl of this right now. I love the simplicity of this dish…looks delicious especially with the fish sauce. I love mushrooms and anything. This looks fantastic – easy and tasty – a real winner! Hm, interesting! 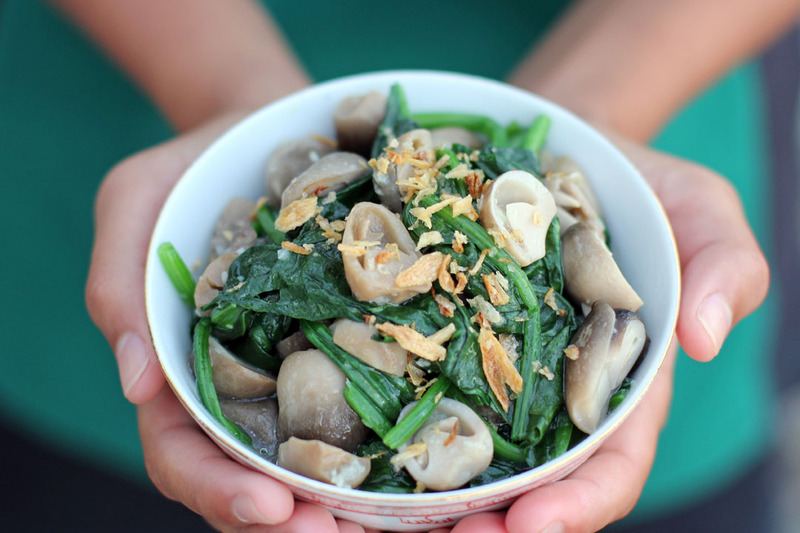 I never used fish sauce to season spinach and mushroom before. I don’t have spinach right now but this should be in our menu soon too. Love the picture – so pretty! Thanks so much for the list of veggie dishes! I’m always looking for easy and unique vegetable dishes. 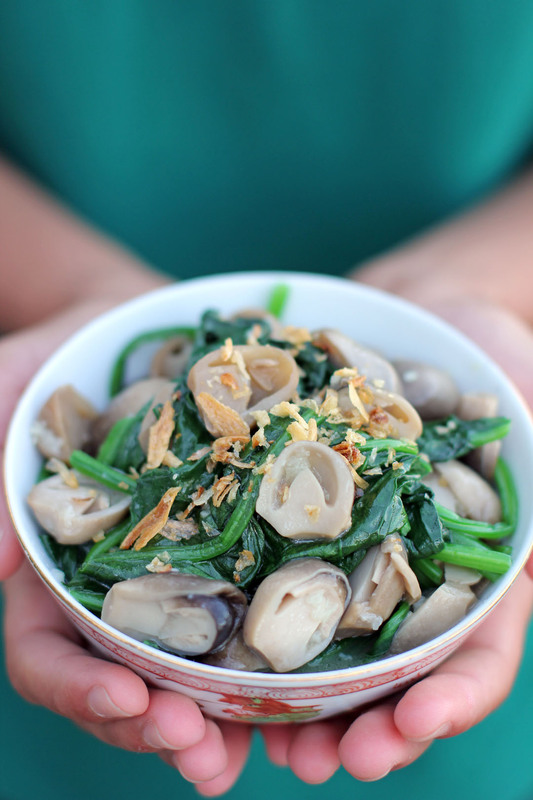 Your spinach and mushroom is definitely one of them.